2016 has been a tremendous year for novels, and even without reading everything I had hoped to finish this year it was hard to pare this list down to a manageable number of titles. I said in my original review of All the Birds in the Sky, way back in January, that I didn’t think anything else I was going to read in 2016 was going to top it. In hindsight, it was really early to say that. I don’t think I would now say that this book is the best thing I read in 2016, but it is my favorite standalone novel of the year for sure. That said, I love this book with the passion of a thousand burning suns. The older book that it most reminds me of is Good Omens by Neil Gaiman and Terry Pratchett, another book that I have a furious adoration for, but it’s not really very much like that book at all, at least not in any specific or quantifiable way. Rather, it’s sweet and funny and whimsically magical in a way that I find comforting, and that’s something that I enjoyed at the beginning of 2016 and that I need at the end of it. 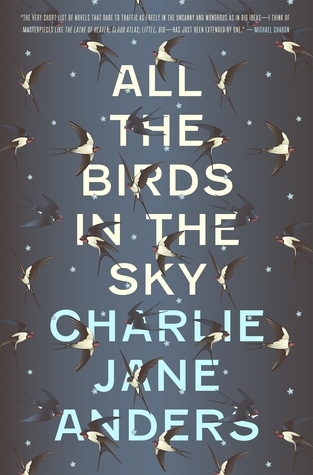 I feel very certain that, like Good Omens, All the Birds in the Sky will be a book that I will return to time and time again in the future whenever I want to read for peace and quiet. The Fifth Season was one of the most brilliant and ambitious novels of 2015, and I honestly didn’t think there was any way The Obelisk Gate would be as good as its predecessor. And maybe it isn’t, because The Fifth Season really is that incredible, but it’s damn close. 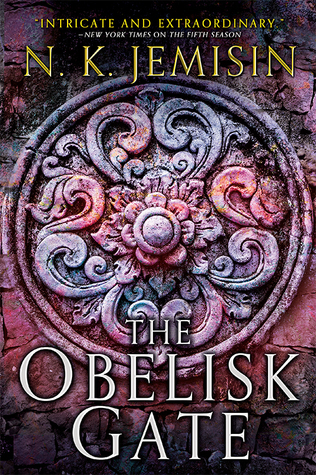 In The Obelisk Gate, Essun’s story picks up where it left off at the end of the first book, and we’re taken back in time to pick up the point of views of Essun’s daughter, Nassun, and the Guardian, Schaffa. It’s much more obvious in this book how all the point of views are interconnected, though Essun feels somewhat cut off from the others for most of the novel, so there’s none of the build up and mystery and satisfying revelation that The Fifth Season offered. Probably you can really only do that once. And so, The Obelisk Gate is in many ways far more straightforward and traditionally structured than The Fifth Season, but what The Obelisk Gate lacks in structural ingenuity and novelty it more than makes up for with worldbuilding and thematic ambition. The world of the Stillness gets far more detailed this time around, and we learn a lot more about the orogenes, their powers, and the Guardians’ purpose. By the end of the book, the outlines of an epic confrontation in the third book (The Stone Sky, out in August 2017) have begun to crystallize, and I cannot wait to read it. Ken Liu has been on fire the last couple of years, and he’s quite deservedly been getting a lot of attention for his work as a translator and editor. His collection of his own short fiction, The Paper Menagerie and Other Stories, was released earlier this year to widespread acclaim, and he is working hard to help bring Chinese sci-fi to Anglophone readers, with a collection of it, Invisible Planets, out a couple months ago. Liu is such a busy guy doing so much important and attention-worthy work that it would be easy to overlook his epic fantasy series, The Dandelion Dynasty, of which The Wall of Storms is the second installment. It would be a huge mistake to overlook this book. Last year’s The Grace of Kings was a gorgeously ambitious book, but my feelings were somewhat ambivalent about it, mostly because of its lack of female characters and the marginalization of what few there were in favor of focusing on the friendships and relationships between men. The Wall of Storms more than makes up for that, and largely redeems its predecessor in hindsight, so if you were put off by that aspect of the first book in the trilogy be sure to give this one a chance. 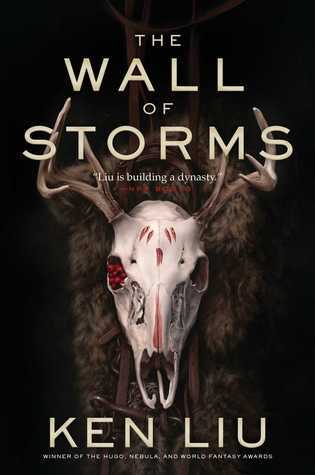 The Wall of Storms expands upon the world Liu created in The Grace of Kings and takes a good, hard look at the aftermath of a revolution, the qualities and values of leaders, the philosophy of governance, and the legacies of conquest and colonization. This is an even more ambitious, erudite and complex novel than the first book in the series, and it deserves to be a serious contender for next years genre awards. Everfair is the book I fell in love with in 2016 that is most outside my normal reading comfort zone. 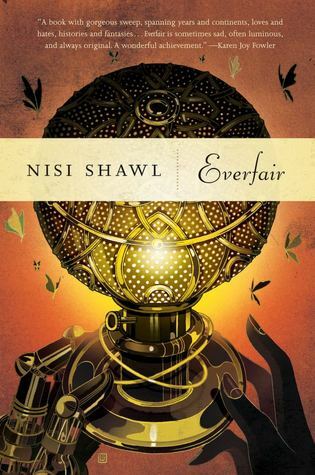 I rarely read steampunk at all–it’s just not really my thing, as a general rule–and never any steampunk as literary as this, so Everfair was a definitely challenge for me. At its heart, though, I think Everfair may be best understood as a sprawlingly epic historical romance, a multi-generational family drama that largely revolves around the difficult relationship between mixed-race but light-skinned Frenchwoman Lisette and her white lover, Daisy. Writing from multiple points of view in vignettes that span some thirty years, Nisi Shawl imagines an alternate history of the Congo in which genocide never happened and instead a utopian society sprang up where people of many races work together to try and build a place where all are welcome. It’s against this backdrop that Shawl examines race issues as they affect the fledgling country of Everfair as well as Lisette and Daisy’s relationship. It’s a book about identity, politics, power dynamics, and the complexities of the human heart. In a year that has been so marked by racism, cynicism, and lack of empathy for others, a beautifully thoughtful and humanist novel like Everfair should be considered required reading. Yoon Ha Lee’s short fiction collection, Conservation of Shadows, was one of my favorite reads in 2015, so I was thrilled when I learned that he would be publishing his first novel this year and set in the same universe as one of my favorite stories from Conservation of Shadows. Ninefox Gambit did not disappoint. In a universe ruled by a hexarchate that maintains control over numerous planets and space stations by way of strict calendrical mathematics laws that dictate the limits and workings of reality itself, it’s vastly important that everyone stick to the same calendar. When heretics threaten the system by developing their own calendar–and their own technology based upon it–Captain Kel Charis is forced to join forces with the remains of one of the hexarchate’s most brilliant military tacticians in order to quash the rebelling faction. The problem is that Shuos Jedao, while gifted, is also considered to be insane after a legendary incident in which he was responsible for the massacre of two armies. Charis has to figure out how to utilize Jedao’s expertise to accomplish her assignment without being manipulated by him or falling prey to his madness. In some ways this book feels like setup for the rest of the series to follow, but it stands well on its own merits as a strange and marvelously beautiful piece of military sf/space opera. I don’t think there’s every been a book quite like Ada Palmer’s debut novel. 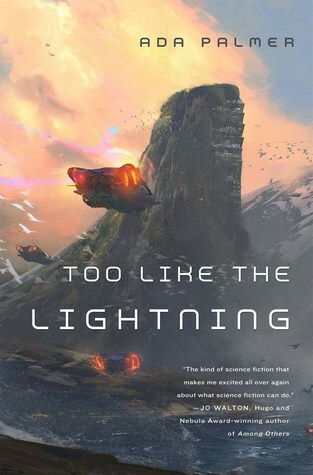 Too Like the Lightning is a complex, challenging, wildly original book that contains several slowly and methodically unfolding mysteries in its pages. Where Palmer shines brightest, however, is in the worldbuilding department. The utopian future imagined here is in turns alluring and alien and at times faintly sinister, especially as the story goes on and more of the dystopia within the utopia is revealed. I loved the crash course in 18th and 19th century philosophy I got while reading this book, between Palmer’s excellent exposition and my own googling and wikipedia reading (I highly recommend brushing up on at least the bare bones of the Enlightenment before reading this one), and I loved the book’s exploration of the tension between the personal and the political, individualism and collectivism, freedom and justice. Too Like the Lightning won’t be a book for everyone–I expect some readers to be turned off by how cerebral it is, while others will find some of the book’s darker elements disturbing–but I found it singularly riveting and can’t wait to read the sequel, Seven Surrenders, in 2017. 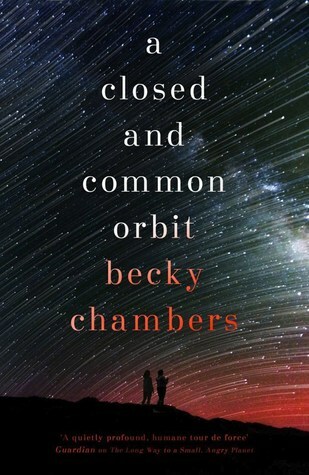 Becky Chambers’ The Long Way to a Small, Angry Planet was my favorite book of 2015, so I was thrilled when I learned that there would be a companion novel coming out this year. A Closed and Common Orbit picks up right at the end of The Long Way and follows the development of Lovelace (who quickly renames herself Sidra) after she leaves the Wayfarer in the android body kit that was originally meant for her previous installation, Lovey. The other half of Orbit deals with the backstory of Pepper, who was a minor character in The Long Way but plays a major role in Sidra’s story here before the two stories fully intersect at the novel’s climax. Orbit has significant thematic overlap with The Long Way, with both books dealing with ideas about families and homes of choice, but Orbit is a more focused book with a much smaller cast of characters who are mostly tied to a particular location rather than roaming the galaxy. 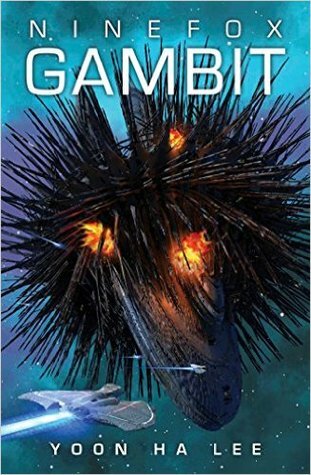 The journeys here aren’t necessarily more personal, but they are more internal and specific to Sidra and Pepper, who are Orbit‘s only POV characters, which is a smart way for Chambers to continue covering similar emotional ground while still setting this second book neatly apart from the first. It’s a wonderful bit of optimistic, joyful comfort reading of a sort that I know that I, personally, always enjoy. Silvia Moreno-Garcia is a new-to-me-in-2016 author, though I suppose she was on the edge of my radar for a couple of years before I finally picked up her first novel, Signal to Noise. 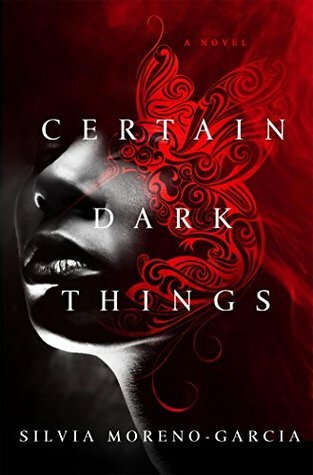 If you’ve read her earlier novel, Certain Dark Things is not very like it at all. Whereas Signal to Noise was on the far magical end of magical realism, Certain Dark Things is very explicitly supernatural and full of some of the coolest vampires I’ve read about in ages. There’s very little new ground to be covered in the vampire genre, and it’s easy to identify the ways in which Moreno-Garcia’s vampires are derivative of previous fictional bloodsuckers, but it’s also clear that Moreno-Garcia knows the genre well. The novel is peppered with references to enough pop-cultural vampires and vampire tropes that genre conventions Moreno-Garcia utilizes have been chosen with care. Certain Dark Things has a wonderful sense of place (like Signal to Noise, it’s set in Mexico City) and a distinctive dark sensibility (eschewing true romance, unlike many similar vampire stories) that sets it apart from the crowd. Moreno-Garcia has also built enough mythology and done enough worldbuilding here that it would be easy for her to revisit the setting and expand upon the ideas of this book. I’m not certain if that would be a necessary or desirable thing, as it’s easy for vampire stories to become overwrought and cliche, but if there’s never a sequel or companion novel to this one, Silvia Moreno-Garcia has already done a great job of injecting some fresh blood into an old genre. 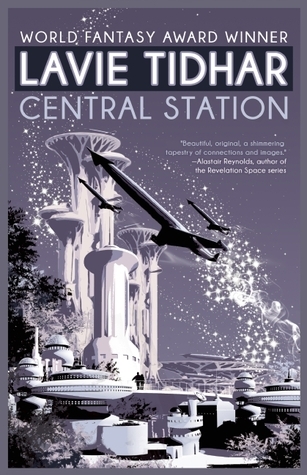 Lavie Tidhar has been around for a while as an author and editor, but Central Station is the first of his books I’ve read and I still haven’t gotten around to reading any more. I hate to say that what attracted me to this title first was its gorgeous cover, but it’s true. It’s got such a wonderfully retro feel to it with its monochromatic color scheme and phallic rockets and towers, I just knew it would be a book I would want to have on my shelf. It was a pleasant surprise to find out that the innards of Central Station were every bit as enchanting as its outside. In the future, Tel Aviv is now at the base of a giant space station, and millions of people now come and go through the city while millions more live their lives in the space station’s shadow. Tidhar collects and connects vignettes of life around Central Station to create a wonderful tapestry of thoughtful futurist mythmaking. A strange child grows up looking for others like himself. A man returns from space and reconnects with an old lover. A cyborg soldier leftover from a great war falls in love. A robot priest guides his flock. While the book isn’t as entirely cohesive as it might have been if it was written on purpose rather than cobbled together from earlier short fiction, Tidhar has nonetheless successfully arranged numerous slices of life into an overall pleasing composition that paints a compelling picture of a possible future. This isn’t Catherynne M. Valente’s best book. It’s not even the best book of her Fairyland series, for all that it is a wonderful ending to September’s story. But “not Cat Valente’s best” is still incredible. As with all the previous Fairyland books, this one is beautifully written. Valente has a true gift for language, and I never get tired of reading as much of her work as is available each year. 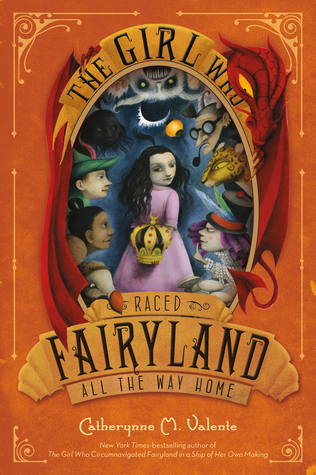 The Girl Who Raced Fairyland All the Way Home smartly subverted my expectations–which in hindsight I ought to have expected–and gave September exactly the happy ending that she most deserved. I wept many bittersweet tears at the end, not least because I was sad that my daughter, now thirteen, has been too old to want me to read the last couple of books aloud to her like I did when she was smaller. I say it every time I review this series, but I cannot recommend enough that you find a small child–your own or any one that you can borrow from a friend or relative–and read these books aloud with them. If you can’t do that, maybe get the audio books and let someone read them to you. Valente’s sumptuous descriptions and excellent alliterations deserve to be spoken as often as possible.